THIS EVENT IS NOW OVER. CLICK HERE FOR THE EVENT SUMMARY. The superannuation industry faces increasing pressure to consolidate in the interests of efficiency and better member outcomes. Our expert panellists will discuss what it means to achieve a successful successor fund transfer plus the challenges and opportunities that scale, efficiencies and consolidation present. Are scale efficiencies real? What does the data tell us about scale and efficiency in the superannuation industry? Will prospective regulatory changes impact the way in which superannuation trustees seek and respond to potential SFT approaches? Can an outsourced model or tech driven model enable a smaller fund to operate efficiently and deliver robust member outcomes? What are the key stumbling blocks to greater consolidation and what can be done about it? What are the key factors and ingredients to a successful SFT or merger? The Honourable Nick Sherry has 31 years experience in the superannuation (pensions) sector. The CEO of Sherry and Associates International an independent advisory business on all aspects of the design and operation of superannuation (pension) systems in Australia and 19 countries internationally. Chairman of FNZ Asia-Pacific, strategic adviser to a superannuation fund, Household Capital and Youth, Family and Community Connections and ASA Partners. Nick is a fellow of Australian Institute of Superannuation Trustees; Governor, Pension Policy Institute (UK) and Advisory, Insurance Ireland. He was formerly senior advisor in superannuation and pensions to Citigroup and Ernst and Young, a director at Spotless, projects with World Economic Forum, Harvard Law and OECD and Business Advisory University of NSW. Nick has been a Senator for Tasmania for 22 years, Minister for Superannuation and Corporate Law; Assistant Treasurer Small Business, Tourism, Public Sector Superannuation; Minister Primary Industries and Resources. Assistant Minister. A foundation GM, trustee of two superannuation funds and chair of a scheme. Rose is responsible for AustralianSuper's Membership group, which manages relationships with businesses and unions and develops the right strategies to attract members. Rose is also responsible for ensuring members have access to the most cost effective life insurance possible to help them secure their futures. Rose joined AustralianSuper in 2010 and became the State Manager of Western Australia, managing the merger with Westscheme in 2011. She was then appointed to the position of General Manager Growth in August 2013 before moving to her current role in 2016. 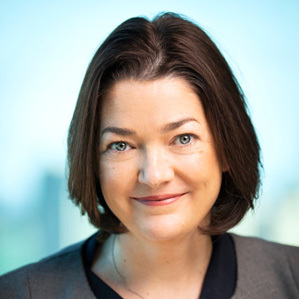 Rose holds a Bachelor of Economics from the University of Sydney, a Diploma of Financial Planning and is a Graduate of the Australian Institute of Company Directors. Josh has a background in business transformation from his time at the Commonwelath Bank where he specialised in creating products that enabled new service models across multiple channels. 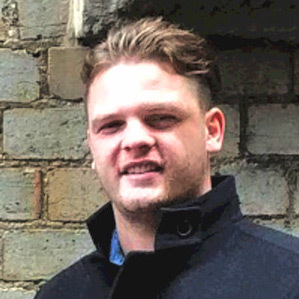 After leaving the bank in 2014, Josh founded his own sports statistics and engagement technology business, StatEdge whose flagship clients include the National Rubgy League and Rugby Australia. After building StatEdge into a highly profitable business within two years and installing a general manager to handle the operations of the business, Josh consulted to American distributed ledger technology company R3. As the Asia-Pacific product strategy manager, Josh worked with a number of Asian and Australian financial institutions pioneering some of the first distributed ledger experiments throughout the region. Inspired to return to financial services, in 2016 Josh founded GROW with business partners Mat Keeley and Duncan Shrimpton. As a company focused on disrupting through technology, GROW has achieved significant success in both its direct to customer proposition, but also in its technological product suite which spans across the user experience and the back office. Since inception, GROW has attracted over 15,000 new members and is currently piloting its ledger based back office platform with a range of funds. Wendy has over 20 years’ experience as a management consultant, advising over 300 organisations in more than 50 cities globally. She has lived in six countries leading and growing a number of consulting organisations in the financial services sector. She has successfully directed numerous enterprise-wide business and technology transformation change programs in the finance sector. Development and leadership is where her passion lies; growing and mentoring people. Wendy currently leads QMV's consulting practice in Sydney. Previously she was director, head of consulting Asia Pacific (JAPA) at American Express, senior business transformation manager at TAL Life and principal consultant at FINEOS (insurance software). Wendy holds a Bachelor of Economics with a major in law, a Diploma of Technology and is currently undertaking her post graduate studies in psychology and neuroscience in leadership. While working at American Express, Wendy notably lead the Global Employee Development program and the Diversity and Inclusion Network. If you would like further information, please get in touch on 03 9620 0707 or sayhi@qmvsolutions.com.